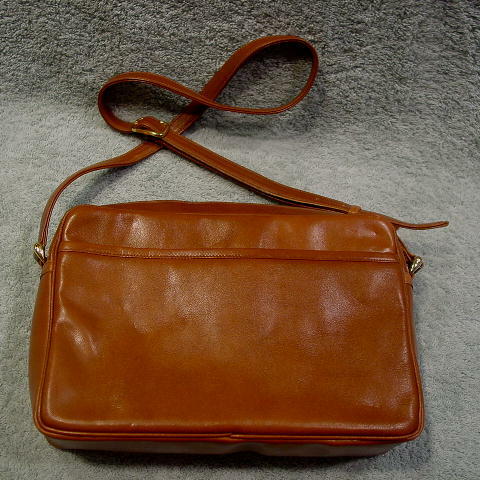 This vintage genuine leather purse is in a caramel color and is by Morris Moskowitz. The center has a dark brown lining manufactured of manmade materials (faux leather). 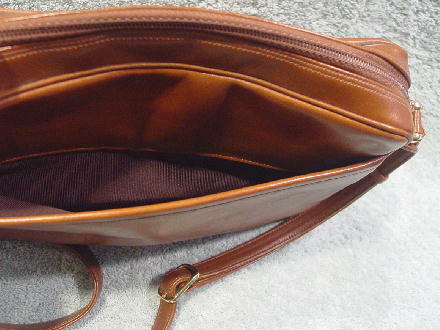 It has a top side to side zipper and a leather pull. The front has a zippered pocket with a brown grosgrain fabric lining and a gold-tone metal logo pull. 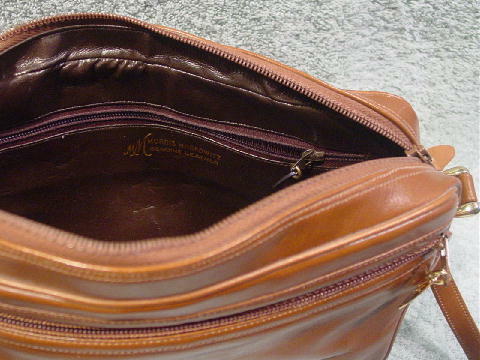 The back has a grosgrain lined compartment. 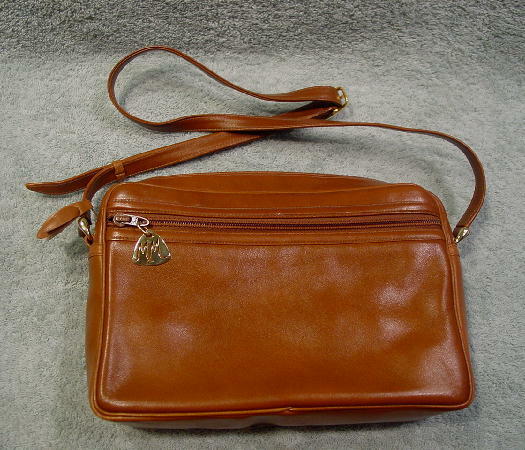 The shoulder strap is adjustable and has a leather loop. She only used it a few times and took very good care of it.